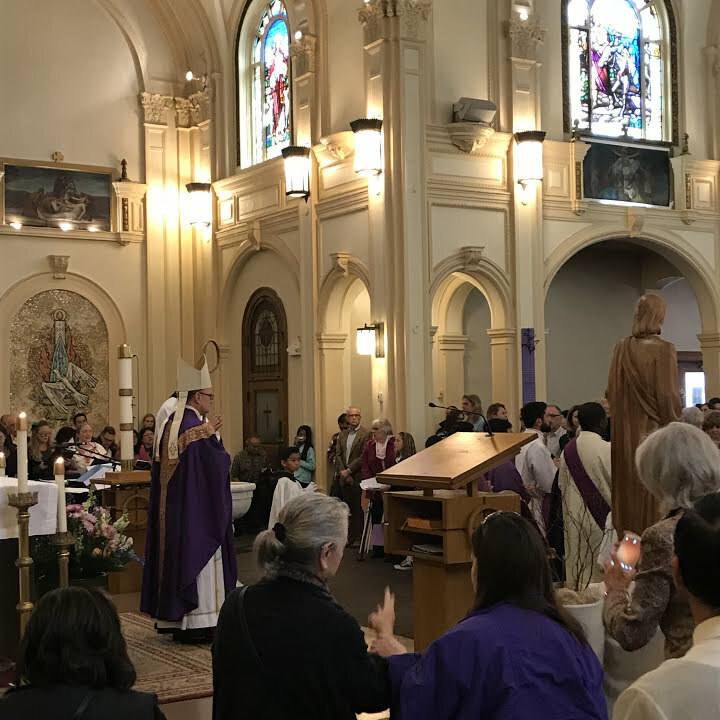 Yesterday we celebrated the feast of St. Joseph, the patron saint of my parish in Alameda. St. Joseph, Jesus’s stepfather, is considered the protector of the Catholic Church. 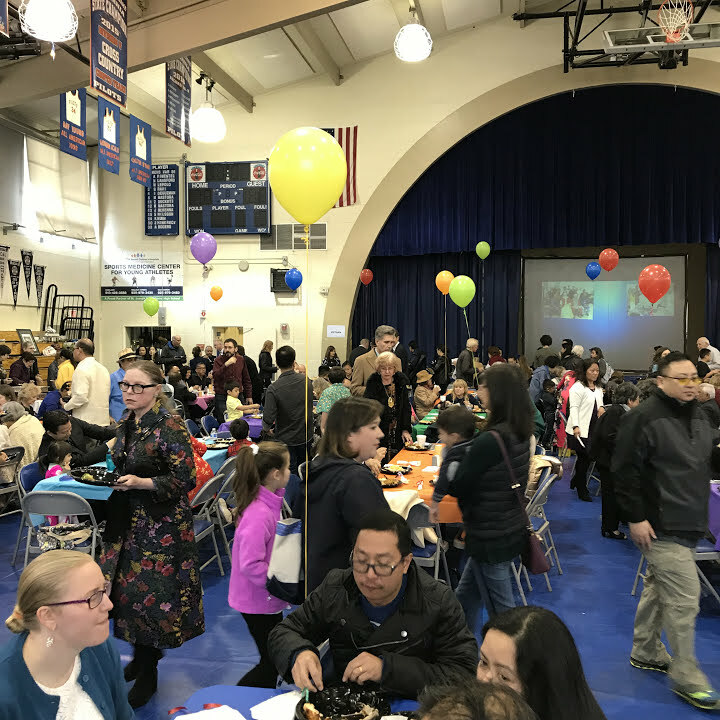 Family Day was quite the event, with a packed mass, celebrated by Bishop Michael Barber. Our church has been around for 133 years since 1885! If you ever get a chance to listen to Bishop Barber, he is such an inspiration. His main point was about creating environments where we feel a connection to Jesus. 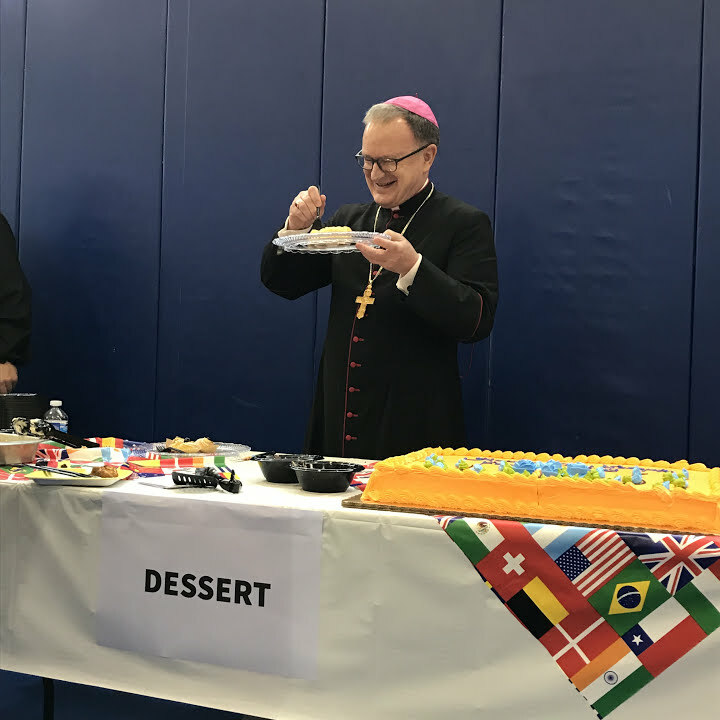 He also talked about the Bishop’s Annual Appeal and how the funds go toward Catholic services, education, and the care for sick or retired priests. He promised that whatever you give is rewarded 100-fold. 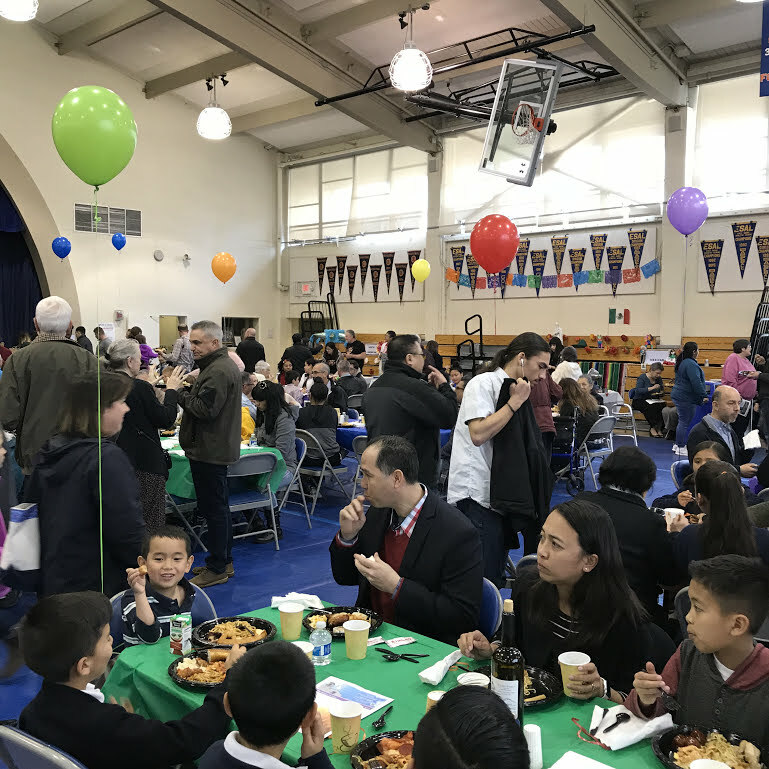 Specifically for the Oakland diocese, he talked about how he had to make the difficult decision to close St. Elizabeth high school and how he asked neighboring Catholic high schools to take in the stranded students. St. Joseph (my alma mater) took on the majority of the students. After a lot of prayer and fundraising, Bishop Barber will be reopening St. Elizabeth as Cristo Rey, a Catholic high school serving inner-city youth. The kids will go to school four days a week and one day a week they will work a white-collar job to help offset their tuition. 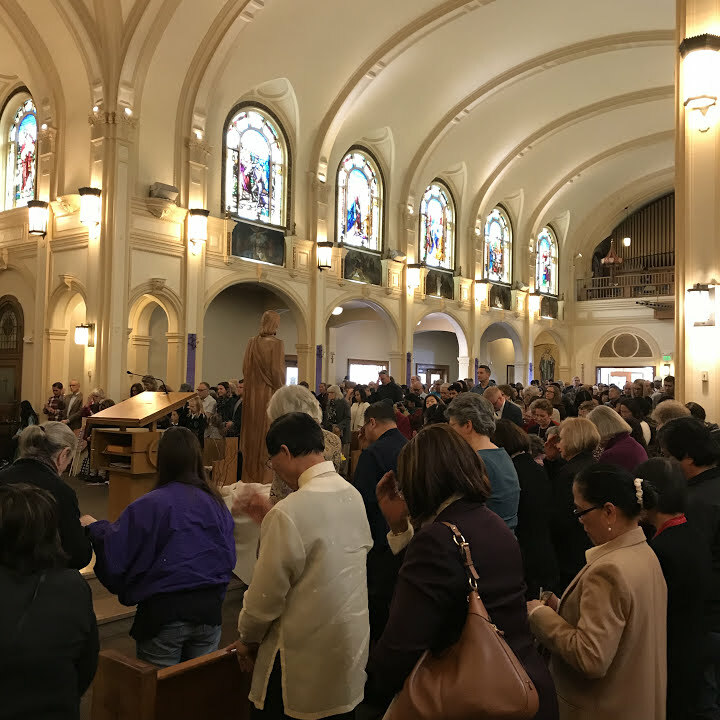 The mass was a long one (90 minutes) with so many different groups involved including kids from the elementary and high schools, lots of singing, and everyone needing to get communion. Afterwards, there was a bountiful international feast with food from 12 different countries. I was so stuffed! They even had to-go boxes for people to take leftovers home. I’m so proud to be a part of this active, diverse Catholic community. What a great holiday for a birthday! It’s very Irish Catholic! Very nice. I need to go and check out that church. It looks beautiful and looks like the people are nice. We always have great potlucks! That is a very packed house! What a wonderful church you belong to <3 My parents have been trying to get me back in the church and I'm starting to really think about it. 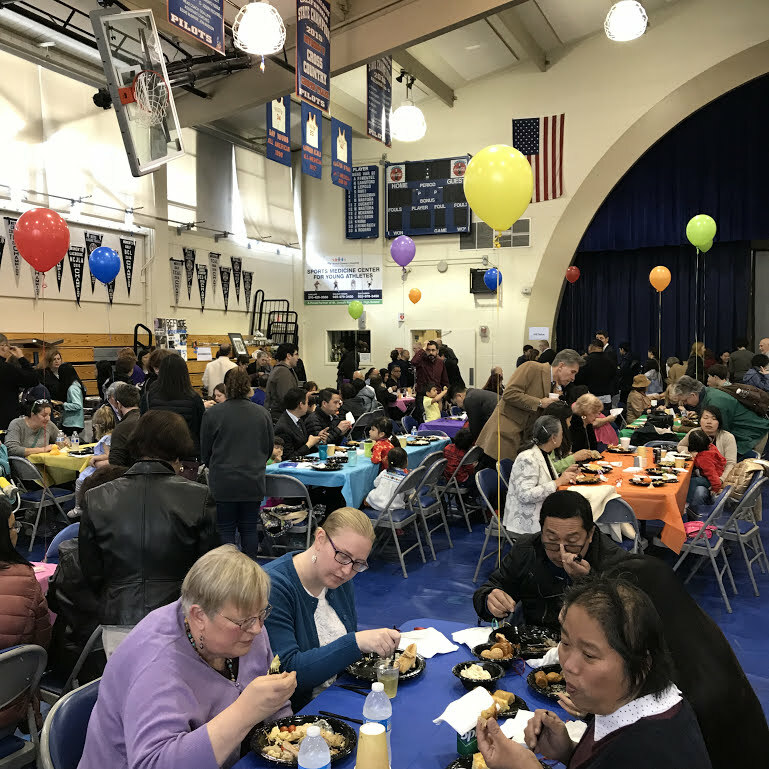 It's wonderful what some do for the community, and of course, that feeling of togetherness when you're there (I was raised Lutheran, but my father is Jewish so we always did halfsies on holidays, lol). I love how you did halfsies on the holidays. Two religions for the price of one. Double the celebration. I’m always open to hearing about blogging opportunities. Thank you for thinking of me!